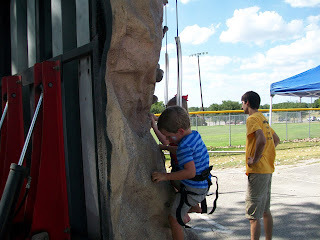 This year I took Dawson to our city's free 4th of July celebration. 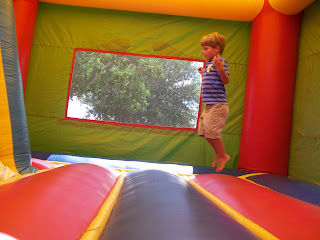 There was tons of free food, big bouncers, and games for the kids. 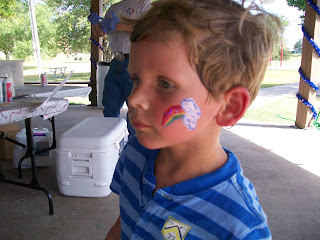 It was VERY hot (100 degrees and humid when we were there), but Dawson still had a good time. We'll definitely go again next year! 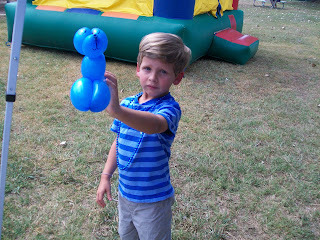 Showing me his balloon animal (a dog). 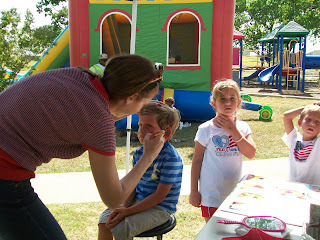 Sitting very still while the lady painted his face. 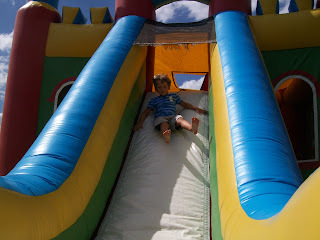 Jumping on the big inflatable bouncer. 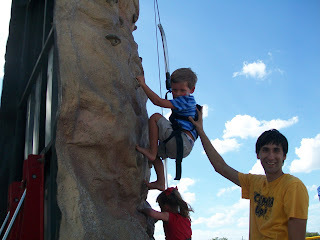 Harnessed and trying out the rock wall for the first time. Climbing up with a little help from one of the guys working there.